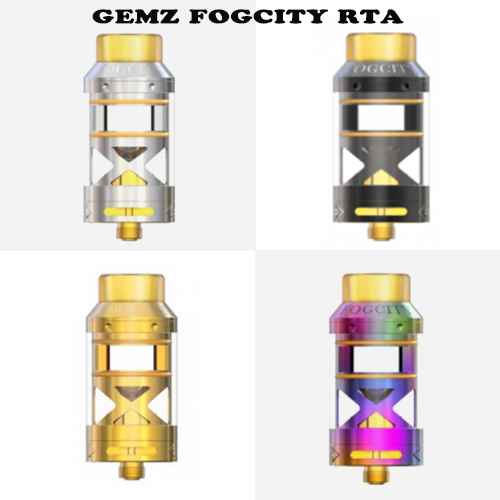 Gemz Fogcity RTA Tank is the newest RTA in the market. Features 3ml e-liquid capacity. The filling aperture is 10.5mm, which allows you to pour the juice in and visually see the remaining amount of juice. The transparent juice chamber and coil chamber enable you to see the remaining of oil and status of the coil. Also all burning oil will be blocked by the baffle, no more burnt mouth. It is just sold at $24.99 on efun.top! Flash Sale! Coupon Code:WFS10 for 10% off discount!